Hi guys! I know this isn&apos;t an update but this message if very important! 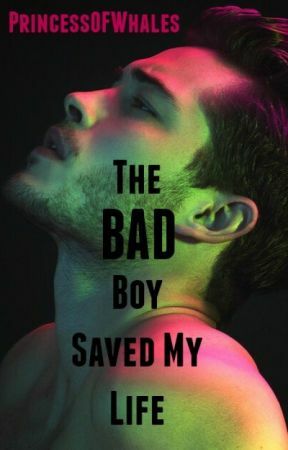 I&apos;m really happy that I finally finished The Bad Boy Saved My Life after almost a year and that you guys all stuck around, commented, voted and supported me. I love my book and so many others do as well so I have decided to (in case you haven&apos;t heard) WRITE A SEQUEL! Book number 2! I am currently working on it right now and I&apos;m so excited. It&apos;s way better when it comes to the general story idea, plotting and what not. There will be new characters and so many new exciting things. It will be Evan and Peyton&apos;s life continued in college. Peyton and Evan are finally happily together with no worries ahead of them but college, and when they decide to go to the same college, they acknowledge that things aren&apos;t going to get better- they&apos;re only going to get worse as the year goes on. Peyton struggles to succumb to Evan&apos;s needs and feels as if college is only weighing her and her relationship down. With a snappy red headed roommate who&apos;s always right, a boyfriend who is struggling with partying and alcohol-- on occasion, and with something she least expected at the age of 18, Peyton struggles to find peace and quiet like she thought she would- and with her boyfriend&apos;s really cute roommate constantly being there for her when Evan wasn&apos;t sober, she finds herself becoming less patient with what was turning into an "unhealthy relationship"-- according to others. She acknowledges that college changes people and brings more surprises and with a little something on the way that Evan wants no part of, Peyton realizes that maybe, Bad Boys Aren&apos;t Forever. That&apos;s the little blurb ^ I hope you guys are all excited and also come along to read the sequel as well. I&apos;ll be posting it as soon as I can, once I&apos;ve finished the first couple of chapters. I&apos;ll make another post on this book so you guys get the notification for when I publish/post the sequel! 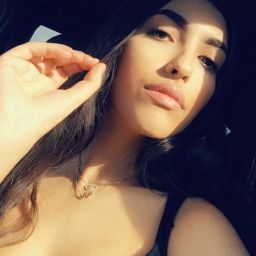 Please tell me what you think in the comment section below, I love reading your guys&apos; comments. "Bad Boys Aren&apos;t Forever," and that&apos;s all I&apos;ll be telling you guys for now! Don&apos;t get sad or assume things, the title does not do the sequel book any justice. Hehehe. So please, leave a comment. Looking forward to hearing from you guys! I love you all so much. *Tell me, will you be reading the sequel?